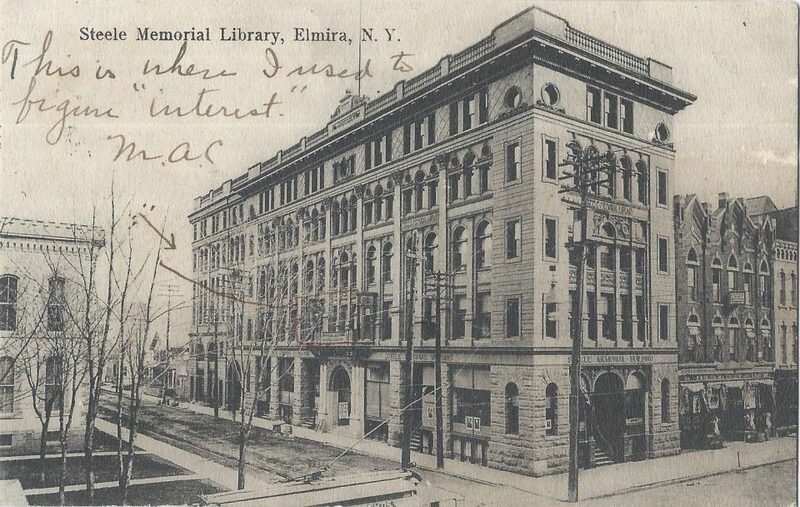 The Valparisio University law Review writes of her early years in Elmira: she was “raised in the feminist, humanistic, intellectual, fun-loving and progressive environment of the Park Church in Elmira, NY” (Valparaiso University Law Review, Vol. 28, No. 4 , Art. 6, p. 1306). Her bio on find-a-grave reports that “Crystal Eastman graduated from Vassar College in 1903 and received an M.A. in sociology from Columbia University in 1904. She received her law degree from New York University Law School, she graduated second in the class of 1907.